To see previews and descriptions of each presentation and what comes in its package, click the title-links. Prices listed on this page do not include supplemental hand-outs, which are only available by clicking the individual titles. 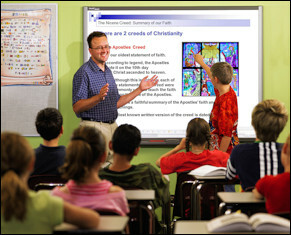 The following presentations are appropriate for a wide variety of religious education and faith formation, but they are listed in the recommended order for RCIA use. They work well for children, youth, and adults. Catechists adapt them easily using the catechist guides that come with each package. Looking for a PPT on all 7 Sacraments? Note: This does not include the Confirmation PPT, which can only be ordered outside the RCIA package.